Cathair ('stone fort') is the name of the highest point (735m) of Tomies Mountain, but not the name of the mountain as a whole (TH). 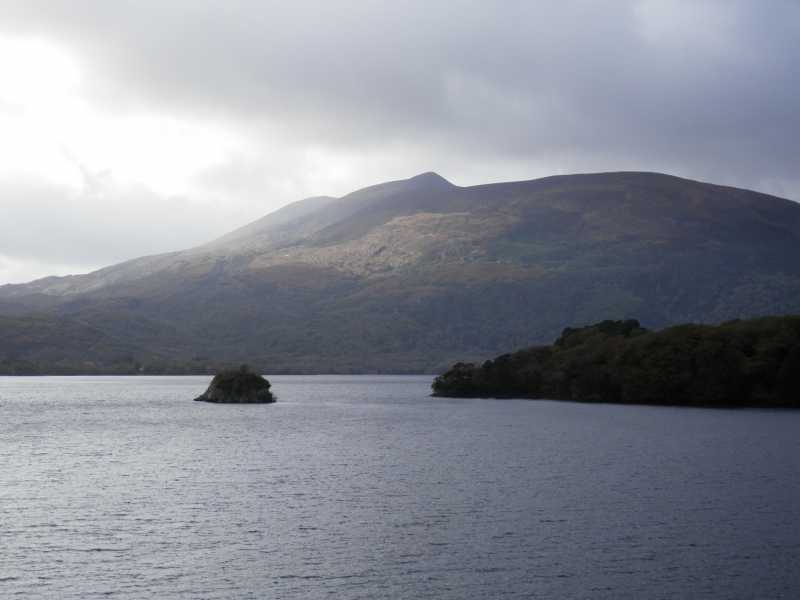 References to Tomish or Toomish Mountain in The Ancient and Present State of the County of Kerry (1756) make it clear that this name applied to the whole of what is now called Purple Mountain. When the name Purple Mountain gained currency in the 19th century as the name applied to the massif in general and its highest top, the name Tomies Mountain was probably relegated in status, referring only to the subsidiary peak. Joyce gives the Irish name as Tuamaidhe and explains it in reference to the two sepulchral heaps of stones on the summit (PWJ, vol. I, p. 336). Tomies Mountain is the 86th highest place in Ireland. Tomies Mountain is the second most northerly summit in the Purple Mountain area.